Read on for more information about the award, and the nominees. Voting will be open until Tuesday April 30th at 11:59 pm (PST). The winner will be announced at the 2019 National Farm to School Conference. What is the Michelle Lessard award? Farm to Cafeteria Canada (F2CC) will present the Michelle Lessard Award to a program or group of individuals representing a regional organization, a school, or a set of schools that have created a stellar Farm to School program, practice, or policy in Canada. Michelle Lessard started the first Farm to School Salad bar program at Dragon Lake Elementary School in Quesnel BC in 2007. In nine short weeks she created a Farm to School salad bar service in a school that had little more than a broom closet to feed the 230 children who were enrolled there. The program demonstrated that, if asked, farmers will deliver; and if offered, children will heap their plates with greens. Michelle’s initial program paved the way for the establishment of a network of more than 200 programs championed by Farm to School BC, under the stewardship of the Public Health Association of BC. This provincial network and related networks of activity across Canada led to the establishment of Farm to Cafeteria Canada. Michelle Lessard passed away in the spring of 2015, after a long courageous battle with cancer. As a tribute to the memory of Michelle and the legacy she has created, Farm to Cafeteria Canada will be presenting this award deserving program or group of individuals at each of its national gatherings. In 2014 the Ontario Student Nutrition Program, South West Region partnered with the community of Chatham-Kent to pilot a small Farm to School initiative that aimed to get more local food into their student nutrition programs and to teach students about where that food was grown. The commitment and partnership of a few people, a public health unit and the Chatham-Kent Community allowed this program to take root and eventually grow into a regional fruit and vegetable delivery program that is servicing over 150 schools while offering access to local food and local food education through a “Tasty Ontario Tuesday” program and other community partnerships. 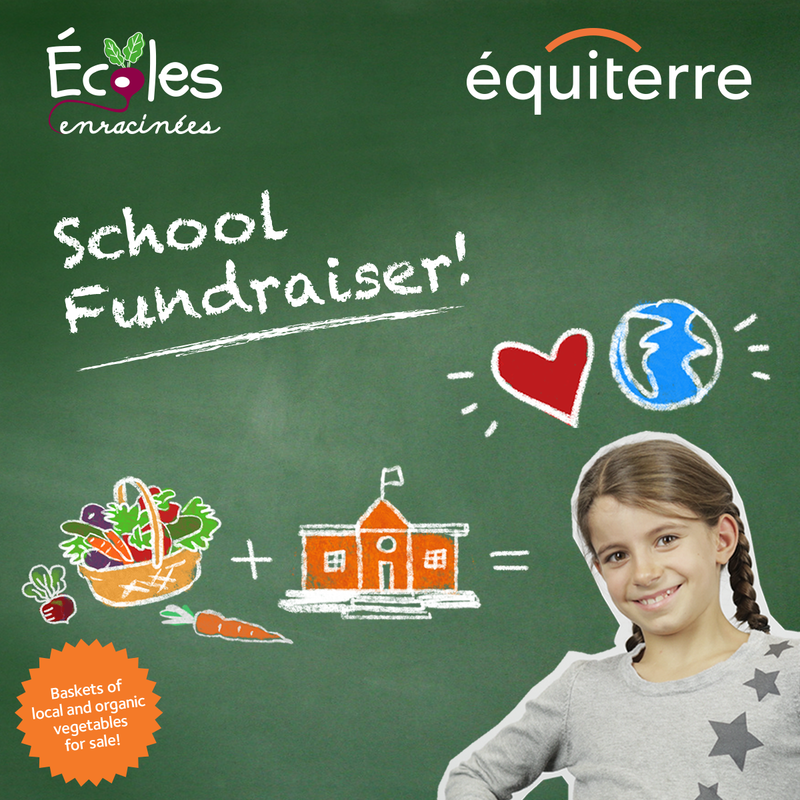 The Schools Take Root project promotes healthy, local and sustainable food in schools, daycares and community organizations across Quebec. The project seeks to help the communities around these establishments – the children, students, teachers, educators and parents – discover, cook and enjoy more local and organic foods. It is a dynamic laboratory of educational food initiatives in schools and communities that places a priority on the development of culinary skills. A culinary continuum from kindergarten to grade 8 was developed to engage young people in their learning. Culinary workshops bring young people to discover and create with local products using their 5 senses! Nanâtohk Mîciwin (Universal School Food Strategy – USFS) provides healthy meals, snacks and beverages for all 11 Maskwacîs Education Schools Commission (MESC) schools. Along with providing comprehensive food education, Nanâtohk Mîciwin includes students in growing and preparing meals. Haida Gwaii Local Foods to School is a program that brings locally grown and harvested foods into schools and supports activities that strengthen students’ connection to where their food comes from. 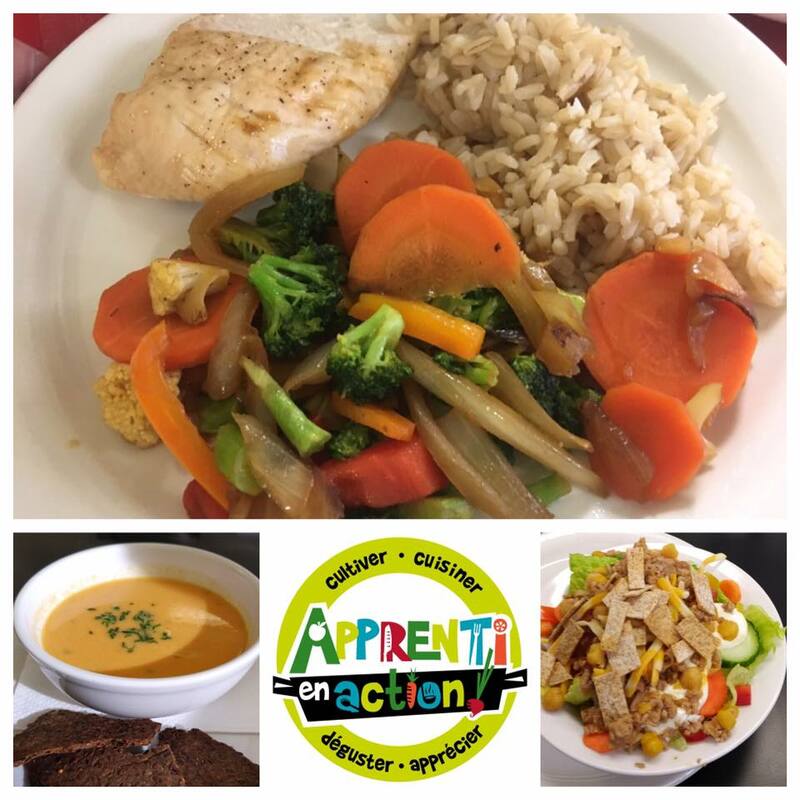 This program also gives knowledge on how to prepare, clean and cook available ingredients to make meals, and store foods based on what is seasonally available through the Local Foods Pantry Program.